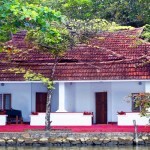 Ashtamudi is a budget homestay located at the heart of Alleppey (Alappuzha) city. 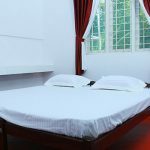 The homestay offers limited facilities but it is a good staying option for travelers who want an economic accommodation for their fun holidays in Alleppey. There are arrangements of all the water sports nearby and all the major beaches and other tourist sports are in close proximity of the homestay. The homestay also has bamboo rooms and an in-house restaurant. 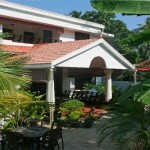 Ashtamudi Homestay offers a total of 10 comfortable rooms divided into A/C and Non A/C rooms. It also features Bamboo single and double rooms. 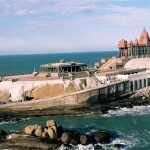 All the rooms are well-equipped with the basic amenities. Room Amenities: Television with Satellite Channels, Study Table, Air Conditioner, Room Service, Internet connectivity, Private Bathroom. Facilities: Doctor on Call, Air conditioned, Airport pick up, 24 Hours Front Desk, 24 Hours Security, 22 hours houseboat Cruise, Laundry Service, Motor Bike & Bicycle for rent, Tour Packages, Taxi Service. Recreational Facilities: Village back waters daily trip, Canoeing, Motor and Shikkara Boat, Ayurvedic Massage & Treatment by Kerala Govt. Approved Centre. 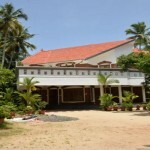 Dining in Ashtamudi Homestay: Ashtamudi homestay has an indoor restaurant which serves Continental, Chinese and Kerala food. It also has a coffee shop. 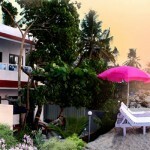 Ashtamudi Homestay is located near Alleppey Bus Stand. 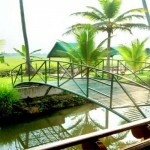 The homestay is 64 kms away from Cochin International Airport. The nearest railhead is Alleppey Railway Station, which is 3 &frac12; kms away. 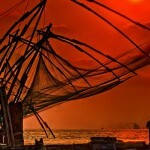 It is 1 km away from the Alleppey Main Bus Stand. 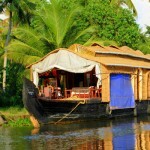 Nearby tourist locations to visit from Ashtamudi Homestay Alleppey: Ambalapuzha, Arthinkal, Mullackal Bhawati Temple.